This signing likely means that the Oilers have made their choice between Drew Czerwonka and Kristians Pelss, both who may have played similar roles with the team or their affiliates going forward. 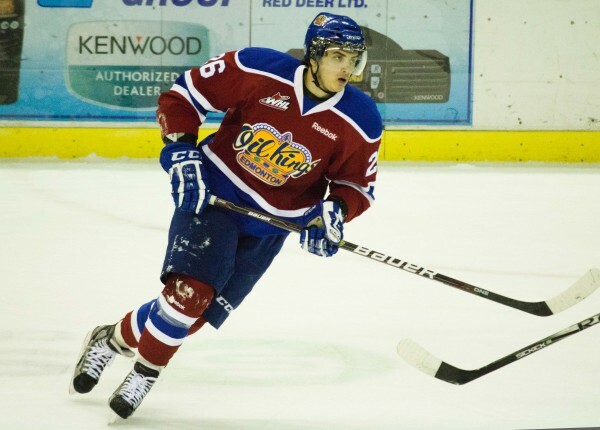 While Pelss has had a relatively injury free season playing with the surging Oil Kings, Czerwonka had an injury plagued season with the struggling Kooteny Ice and ultimately that may have been the difference maker. Through his two season with the Oil Kings Pelss has gained a tremendous amount of confidence, worked on his English and learned to adapt to the North American game. And now, Pelss may remain with the Oil Kings for an additional season as one of the team’s 20 year olds, or he may find himself in Stockton playing for the Thunder of the ECHL or in the AHL with the Oklahoma City Barons. Wherever Pelss plays next season he will bring with him an Eberle-like ability to score important goals. Pelss scored 5 game winning goals through the regular season and was ranked 5th in the league, yet tied with 6 other players, for overtime goals (2). Pelss can also add international competition to his resume this year after captaining Latvia through the World Juniors. Latvia may not have walked away with any hardware, but they did ensure their team would be back next year by beating Denmark in their final game. Pelss not only had to face the media to discuss his playing ability as well as that of his teammates, but he often had to translate for his teammates as well. At this point in his development Pelss doesn’t appear to be a top six player for the Oilers, or even an immediate impact NHLer, but don’t overlook his development and talent. There is always a need for players that can play throughout the lineup and Pelss will not turn 20 until September. There is still plenty of time for this young Latvian, and a 3 year deal should help the Oilers further evaluate and develop their prospect Pelss.